At least one Democrat leader in California admits that he’s tired of “trashing” President Donald Trump. Another notable Democrat, Kevin de León — who has been in the news of late for admitting half his family is living in the country illegally and using false documents to work — explained why he will continue to trash President Trump at every opportunity. When asked by the Bee if the anti-Trump talk is alienating the state from the federal government, de León said it’s his responsibility to protect the people and values of California. It will be truly extraordinary if California politicians stop the anti-Trump talk—or ever acknowledge that when given the opportunity to play politics with the Federal emergency funds for the Oroville Dam disaster, Trump refused to put millions of Californians at risk just to score some political points. 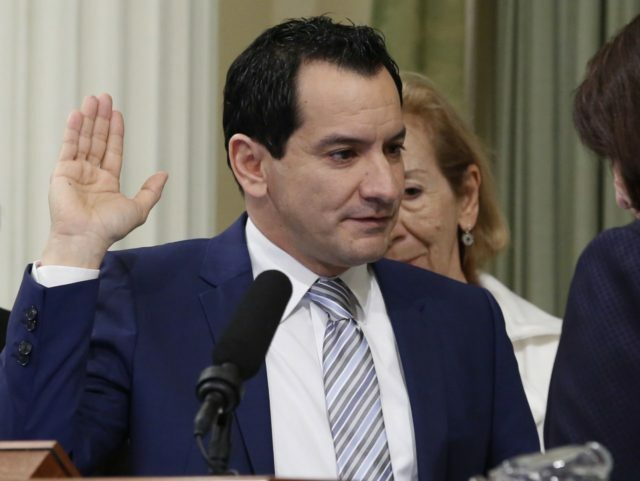 Thank you Assemblyman Anthony Rendon! Thank you very very much!! I hope others follow in your shoes. Trump is going to help the people of your district, the citizens of all districts in California, because his policies and agenda are going to help ALL AMERICANS. It's way past time to stop kicking a gift horse in the mouth and get on the Trump Train to fix our country. Aiding and abetting is against federal law. If this slug de Leon knows about these illegals stealing identities, then he's an accessory and should go to prison. This is so unacceptable that he gets to roam free and even worse that he is in a position of power. Getting Tired of the False Republican-Democrat Paradigm?